Exactly 100 years ago, on 24 January 1915, Palmeiras – at that time of course known as Palestra Italia – played their first official game of football: Sport Club Savoia were the opponent at the Campo do Castelão and Palestra Italia won 2-0 after goals from Bianco and Alegretti. 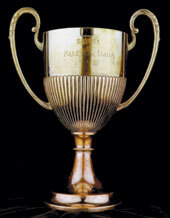 The date not only marks Palmeiras’ debut on the pitch and the club’s first victory, but also the first trophy: the winner of the clash was awarded the “Taça Savoia”. 24 January 2015 will be remembered for a much lesser but still important event: Palmeiras’ supporter membership programme Avanti reaching 80.000 members and overtaking Grêmio’s position as the second largest after Internacional of Porto Alegre. With more than 16.000 new members only in January, the Avanti is continuously showing remarkable progress, no doubt fuelled by optimism due to the perceived strength of the squad and the attraction that is the Allianz Parque. As the programme grows, so does Palmeiras’ revenues: at current scenario, the Avanti should bring in some US$ 7.5 million to the club this year. However, a word of caution: numbers can and most likely will fluctuate rather heavily as it only takes one missed monthly instalment for a member to drop out of the statistics. If Palmeiras fairs badly; if prices of the membership programme suffer adjustments (which they will, as they have been stale since 2013); if Brazil’s economy worsens… all these factors and many more can lead supporters to drop out – temporarily or permanently. That being said: a few months ago, the top duo from Porto Alegre looked sovereign. 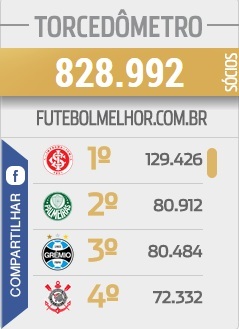 Today, only Inter and some 50.000 members stand between Palmeiras and the top position.